Dave Gelly writes about jazz in The Observer and other newspapers and journals. He has written and presented many features for BBC radio and hosted a weekly Radio Two show. He was a leading writer on the Sony Award-winning ten-part BBC radio series Sinatra: Voice of the Century and is the author of several books, including Masters of the Jazz Saxophone (Miller Freeman, 2000) and Stan Getz: Nobody Else but Me (Backbeat 2002). He was named Jazz Writer of the Year in the 1999 British Jazz Awards. Dave Gelly was appointed MBE in the 2005 New Years Honours. The post-war jazz revival marked the beginning of an independent British youth culture with music as its focus. Although it always remained a minority enthusiasm, jazz actually embodied the vaguely felt sentiments, dissatisfactions and aspirations of the post-war generation more fully than any other form of expression. Older people were, on the whole, indifferent or positively hostile to what was, for many, simply an ‘unholy row’. In British society, class and culture were bound inextricably together, but jazz was an alien form with no obvious class affiliations. It was culturally neither ‘high’ nor ‘low’, and so found a ready welcome in a world where the old certainties were breaking down. Throughout this period, jazz came in two more or less exclusive types – ‘revivalist’, which sought to recreate the classic jazz of the 1920s, and modern. Enthusiasts on both sides regarded their music as being more important than mere entertainment. In it they found a quality which they defined vaguely as ‘honesty’ or ‘sincerity’, which may perhaps be summed up as ‘authenticity’. The book follows the development of both jazz tendencies over a decade and a half, paying particular attention to two outstanding figures: Humphrey Lyttelton and John Dankworth. It also seeks to convey a flavour of that now remote era and the frisson that jazz created. The post-war jazz revival marked the beginning of an independent British youth culture with music as its focus. Although it always remained a minority enthusiasm, jazz actually embodied the vaguely felt sentiments, dissatisfactions and aspirations of the post-war generation more fully than any other form of expression. Older people were, on the whole, indifferent or positively hostile to what was, for many, simply an ‘unholy row’. In British society, class and culture were bound inextricably together, but jazz was an alien form with no obvious class affiliations. It was culturally neither ‘high’ nor ‘low’, and so found a ready welcome in a world where the old certainties were breaking down. Throughout this period, jazz came in two more or less exclusive types – ‘revivalist’, which sought to recreate the classic jazz of the 1920s, and modern. Enthusiasts on both sides regarded their music as being more important than mere entertainment. In it they found a quality which they defined vaguely as ‘honesty’ or ‘sincerity’, which may perhaps be summed up as ‘authenticity’. The book follows the development of both jazz tendencies over a decade and a half, paying particular attention to two outstanding figures: Humphrey Lyttelton and John Dankworth. It also seeks to convey a flavour of that now remote era and the frisson that jazz created. 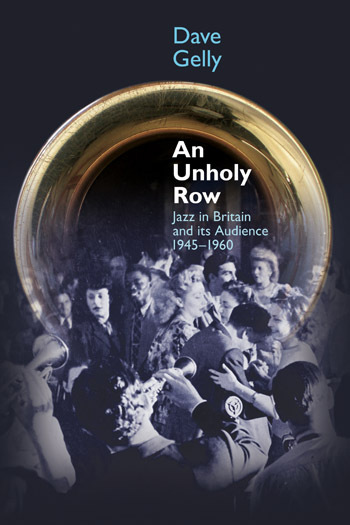 This chapter is dedicated to introduce the reception of jazz music in Great-Britain during the 1950’s by young and also the old conservative audiences. This chapter is dedicated to reveal the first musical steps of Humphrey Lyttelton, an important British jazz musician. In this chapter, the author discusses the innovative sound created by the “George Webb’s Dixielanders”, and the impact their music had on the British public. 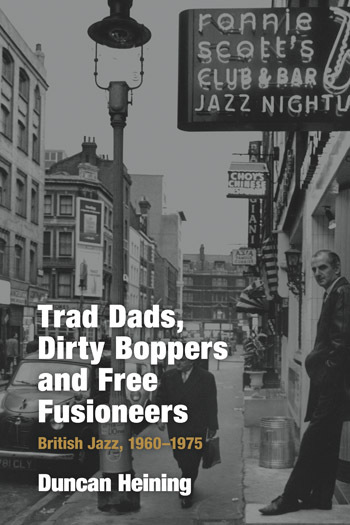 This chapter is dedicated to reveal the origins of the Club Eleven and the jazz bands that played there, such as the Johnny Dankworth Quartet (later Quintet) and the Ronnie Scott Sextet. This chapter is dedicated to narrate the career of Johnny Dankworth. This chapter discusses the career of Humphrey Lyttelton and the jazz bands he formed in Britain. This chapter discusses the arrival os “folk music” and blues into Great Britain, as well as talks about important musicians of the time, such as Chris Barber, Lonnie Donegan and Josh White. In this chapter, the author reveals the musical scenery in Britain in the late 1950’s. The arrival of rock n’ roll generated a contrast with the very popular dancing bands. In this chapter, the author talks about the traditional “trad” jazz and how it became universally known. The chapter also introduces the career of the musician Bernard Stanley Bilk, known as Acker Bilk. 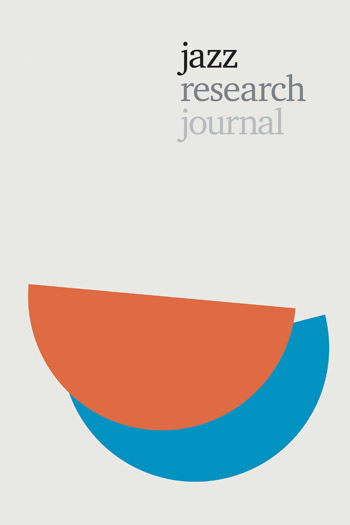 This chapter discusses the influence of Duke Ellington and Louis Armstrong on jazz music, but also presents a different side of jazz composition: the one connected to literature, created by musicians such as Mike Westbrook, Neil Ardley and Michael Garrick. In this chapter, the author concludes the book, reviewing the memories that were brought back by this project. …I want to say how much I enjoyed Dave Gelly’s book. It’s well-written, gives an intelligent and informative summary of the period concerned, and is short and to the point, something to be welcomed in an age when big books seem to be taking over. Larkin once wrote of the sax-man Cannonball Adderley that he “has the rare virtue of sounding neither screwball nor neurotic, yet always pushing towards excitement.” He might well have said the same of this book. Not only compulsively readable and entertaining (packed as it is with anecdotes and perceptive pen portraits of the music’s characters) but also informative, even learned, enough to make it the most reliable guide yet published to a fascinating period in UK jazz history, a book that can be unreservedly recommended to anyone wishing to trace current British popular musical culture to its (often complex and subtle) roots in post-war jazz.